Bliss, Michael. "The Discovery of Insulin". The Canadian Encyclopedia, 08 November 2018, Historica Canada. https://www.thecanadianencyclopedia.ca/en/article/the-discovery-of-insulin. Accessed 25 April 2019. For many years scientists believed that some kind of internal secretion of the pancreas was the key to preventing diabetes and controlling normal metabolism. No one could find it, until in the summer of 1921 a team at the University of Toronto began trying a new experimental approach suggested by Dr. Frederick Banting. Dr. Charles H. Best and Dr. G.R. Williams check one of many experiments being conducted in the lab of the Charles H. Best Institute, University of Toronto. Image: National Film Board of Canada / Library and Archives Canada / PA-112972. For many years scientists believed that some kind of internal secretion of the pancreas was the key to preventing diabetes and controlling normal metabolism. No one could find it, until in the summer of 1921 a team at the University of Toronto began trying a new experimental approach suggested by Dr. Frederick Banting. By the spring of 1922, the Toronto researchers — Banting, Charles Best, J.B. Collip and their supervisor, J.J.R. Macleod, were able to announce the discovery of insulin. In 1923, Banting and Macleod received the Nobel Prize for one of the most important, and most controversial, breakthroughs in modern medical history. For many centuries people knew about diabetes mellitus (commonly referred to as diabetes), but it was only dimly understood until the end of the 19th century. Initially, the body’s inability to process carbohydrates and other nutrients, signified most obviously by the presence of sugar in the urine, was thought to be a liver or a stomach disorder. In 1889 German researchers Oskar Minkowski and Josef von Mehring discovered that dogs that had their pancreas removed immediately became severely and fatally diabetic. Something in the pancreas appeared to be essential to prevent diabetes. Researchers immediately began to try to find the mysterious substance. Results were mostly negative; for example, feeding pancreas to diabetic patients did no good. Still, new knowledge about the body’s dependence on chemical messengers — or hormones — added plausibility to the hypothesis that some kind of internal secretion of the pancreas maintains normal metabolism. The gland was already known to have an external secretion, digestive juices that flow into the duodenum. 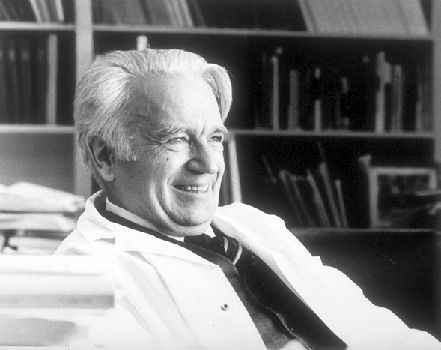 Another German researcher, Paul Langerhans, had discovered a separate system of cells in the pancreas, later named the islets of Langerhans, which came to be seen as the possible source of the elusive internal secretion. But how could the substance be separated from the rest of the pancreas? In the meantime diabetes in its severe form, which often struck children, was a horrible disease. Patients expelled excess sugar via their urine, lost weight and strength, suffered many other complications, eventually fell into a coma and then died. Researchers kept hoping that by feeding or injecting diabetic animals or humans with portions of pancreas they could cause an improvement in their condition. The most common test would be to try to lower urinary sugar, or perhaps the blood sugar of a diabetic subject. Until the hoped-for discovery emerged, about all that people with diabetes could do to hold off their disease was eat less and less — postponing death from diabetes by literally starving themselves. In the 30 years after Minkowski and von Mehring’s 1889 discovery hundreds of investigators around the world tried to find the internal secretion. A few of them, Georg Zuelzer in Germany, E.L. Scott and Israel Kleiner in the United States, N.C. Paulesco in Romania, reported promising findings. Yet their pancreatic extracts functioned erratically and unconvincingly, often with harmful side effects. By 1920, some scientists had given up, thinking the whole idea of an internal secretion of the pancreas was a wild goose chase. Others kept on searching; and by this time, they were starting to be able to use better tools, such as new techniques for quickly measuring sugar in the blood and urine. Ligate pancreatic ducts of dog. Keep dogs alive till acini degenerate leaving Islets. Try to isolate the internal secretion of these to relieve glycosurea. Banting, a farmer’s son from Alliston, Ontario, had graduated in medicine from the University of Toronto	in 1916, served in the First World War, done post-graduate work in surgery and, while starting up a medical practice in London, was earning extra income as a part-time teacher in the physiology department at the local University of Western Ontario (now known as Western University). He developed his idea as a result of background reading he was doing to prepare a talk to medical students about the pancreas. Banting had little experience at research or at treating (or even spelling) diabetes. Banting’s reasoning was that possibly others had not been able to find the internal secretion in their pancreatic mixtures because it was being destroyed by the organ’s well-known external secretion, the digestive juices produced in its acinar cellular system. Perhaps if the flow of digestive juices out of the pancreas could be stopped by surgically blocking or ligating the pancreatic ducts, then the pancreas would stop producing its external secretion. Its acinar cells would shrivel up, but its islet cells, perhaps the source of its internal secretion, would keep on producing the substance. It could then be isolated and used to treat diabetes. 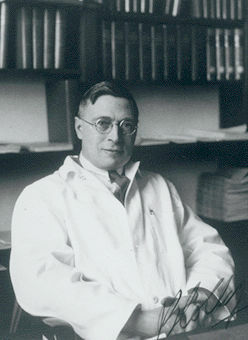 Frederick Banting was advised at the University of Western Ontario to take his idea back to the University of Toronto, which had extensive research facilities under the direction of a renowned physiologist and expert in carbohydrate metabolism, John James Rickard Macleod. At their first meeting, Macleod was skeptical about both Banting’s idea and his credentials as a researcher. Macleod knew that much better trained scientists had worked on much the same idea. But he had surplus capacity, including research animals and enthusiastic student helpers, in his laboratory. He decided that no harm could come from letting Dr. Banting try to succeed where others had failed. 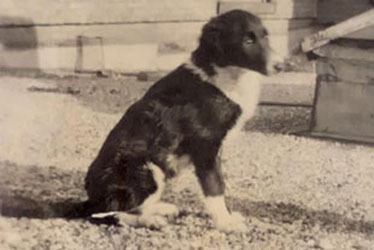 Macleod offered Banting lab space, dogs to work on and the services of a student assistant during the summer of 1921. One of Macleod’s student helpers, Charles Best, won a coin toss to be the first to start work with Banting. Banting and Best began their experiments under Macleod’s direction at the University of Toronto on 17 May 1921. Frederick Banting and Charles Best found that serious research was difficult, complicated and fraught with pitfalls. Doing pancreatic surgery to ligate the ducts of dogs was far from easy, especially during the sizzling Toronto heat of the summer of 1921. Accurately and consistently measuring the results of their work was also far from easy. Before J.J.R. Macleod	left to holiday in his native Scotland, he gave the young researchers detailed guidance on procedures to follow in their work, including crucial advice on how to prepare extracts of pancreas from duct-ligated dogs for injection into other depancreatized (thus diabetic) dogs. Banting and Best's laboratory where insulin was discovered (courtesy University of Toronto Archives/A1965-0004). Banting pressed on with great determination and an enthusiast’s tendency to interpret his results always positively. On 30 July he and Best injected an extract of degenerated pancreas from a duct-ligated dog into another depancreatized, diabetic dog and observed a sharp drop in its blood sugar. Injections of extract into other dogs (the dogs had no names, only numbers) often seemed to reduce blood sugar. When Macleod returned to Toronto	at summer’s end he was confronted by excited researchers who believed their experiments with what they called “isletin” were extremely successful. Macleod was much more critical. He required the duo to repeat and elaborate upon their work, while disagreeing sharply with Banting about facilities and resources. As experiments continued in the autumn of 1921, Banting and Best found that they could discard the cumbersome procedure of duct-ligation. It was possible to make just as effective extract from fresh, chilled beef or pork pancreas obtainable at local slaughterhouses. Banting’s great idea, it turned out, had been useful only to start the Toronto research. In truth it was not particularly original, effective or even physiologically sound. The real problem was to make their pancreatic extracts work consistently and convincingly to treat the symptoms of diabetes. Chilling the pancreas (which inhibited enzyme action) had been an important step forward. The group also made progress with their techniques of trying to purify the ground-up tissue that seemed to contain the internal secretion. At Frederick Banting’s request, J.J.R. Macleod added a skilled biochemist to the team in December 1921. James Bertram Collip was a Toronto-educated professor at the University of Alberta, who had returned to the city to work for a few months with Macleod on other research. Collip immediately began improving Banting and Charles Best’s crude and inconsistently effective extracts. Still, the first presentation of the Toronto research at the end of December, by Banting and Best, to the American Physiological Society, met substantial criticism from an audience of distinguished diabetologists. The pattern of their results, though perhaps promising, did not yet seem to be significantly better than others had reported. In January 1922 the Toronto group decided they could safely begin testing their pancreatic extracts on human subjects. On 11 January pancreatic extract made by Banting and Best was injected into the body of Leonard Thompson, a 14-year old boy on the brink of death from diabetes in Toronto General Hospital. Everyone was disappointed when measurements showed the test was a failure. But 12 days later, on 23 January, the team resumed administration of extract on Thompson, and now had spectacular success. His blood and urinary sugars went to normal and his other diabetic symptoms were alleviated. The group knew they were on to something very big in medicine. The key to the breakthrough on Thompson was that Collip, working furiously, had been able to develop an improved extraction process to remove toxic contaminants from Banting and Best’s extract. His purer extract worked consistently and effectively, suggesting very powerfully that the Toronto team had indeed discovered the internal secretion of the pancreas. The work now proceeded at a feverish pace. The group, which continued to expand, published a preliminary report of its clinical trials on Thompson and several other patients in the Canadian Medical Association Journal on 22 March 1922. On 3 May 1922, Macleod delivered a paper, “The Effects Produced on Diabetes by Extracts of Pancreas,” at the Washington, DC, meeting of the Association of American Physicians, in which the team first used the word “insulin.” Macleod had suggested this use of a Latin root for islets. The paper’s authors were F.G. Banting, C.H. Best, J.B. Collip, W.R. Campbell, A.A. Fletcher, J.J.R. Macleod and E.C. Noble. (Campbell and Fletcher were the clinicians who administered the extract on patients; Noble was another young physiologist). The audience gave the Toronto researchers a standing ovation. In the eyes of most of the world this was Toronto’s announcement of the discovery of insulin. 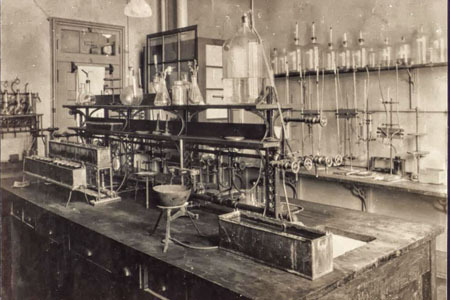 For many years afterwards, the University of Toronto supervised insulin production on the basis of patents given to it by members of the discovery team. It licensed manufacturers, who, by the end of 1923, were able to make insulin available to victims of diabetes around the world. The addition of chemist Peter Moloney to the team in the spring of 1922 had marked a turning point in its production operations. The process Moloney developed for purifying insulin made it possible to produce the substance in large quantities. Global excitement at the sudden appearance of an effective treatment for diabetes masked a nearly incredible story of rivalries and bitterness among the researchers involved. Frederick Banting had had the idea that started everything. 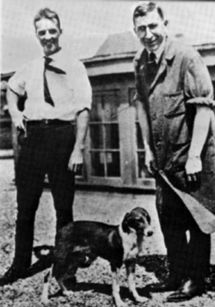 He thought that he and Charles Best, working mainly on their own, had discovered the internal secretion with their dog experiments in the summer and autumn of 1921. Banting had never liked J.J.R. Macleod; and he thought James Collip — with whom he had had at least one violent confrontation in the lab — had only added somewhat to the purification of insulin. Banting had well-placed friends in Toronto. Knowing that a Nobel Prize might well be awarded for insulin, they worked very hard to have Banting honoured, at home and abroad, as the discoverer of insulin. Among experienced scientists there was more support for the view that Banting and Best’s somewhat fumbling researches would not have reached the goal without the contributions of both Macleod and Collip — along with other workers, such as those who had made recent crucial advances in the ability to measure and track changes in blood sugar levels. In its deliberations for the 1923 Nobel Prize in Physiology or Medicine, the Nobel Committee of the Caroline Institute in Sweden concluded that Banting would not have found the way to insulin without the guidance of Macleod. They awarded the 1923 prize — one of the fastest honourings of a discovery in the history of the awards — to Banting and Macleod. Banting immediately announced that Best should have been honoured and that he would divide his prize money equally with his young partner. Macleod announced that he would divide his prize money equally with Collip. The Nobel Prize for insulin became highly controversial. Banting’s admirers, joined by Best and his friends, insisted that Macleod was improperly recognized, and that the award should have gone to Banting and Best. Years of propaganda, involving extensive distortion of history, established in the popular mind, especially in Canada, the view that insulin had been discovered by Banting and Best. Macleod and Collip became forgotten men. 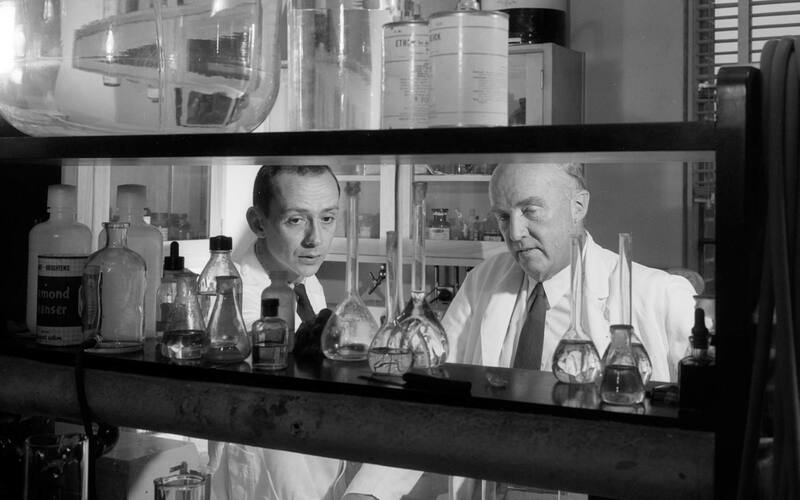 Scientists and medical historians were more inclined to the view that the discovery of insulin involved a collaborative effort by a team of scientists — Banting, Best, Collip, Macleod and others. This is now the more accepted view at the University of Toronto and in other informed circles. From time to time there have also been campaigns to claim that one or other of the earlier researchers — Zuelzer, Scott, Paulesco and others — was the real discoverer of insulin. These claims have not been widely credited. At Toronto’s Nobel Prize dinner in 1923, a wise scientist dismissed the honours controversy with the comment “in insulin there is glory enough for all.” Millions of diabetes	sufferers around the world were less interested in battles for scientific prestige and power than they were in the fact that out of Canada had emerged a therapy that gave them relief from their disease. With the discovery of insulin, the primary question of diabetes became one of the quality of life, not the speed of death. Building on the contributions of their predecessors the Toronto group of Frederick Banting, Charles Best, James Collip and J.J.R. Macleod	had brought about a dramatic breakthrough, and one of medical research’s earliest successes. The Discovery of Insulin, 25th anniversary ed. (Toronto: University of Toronto Press, 2007) and Michael Bliss, Banting: A Biography, rev. ed. (Toronto: University of Toronto Press, 1992). Alison Li, J.B. Collip and the Development of Medical Research in Canada (Montréal: McGill-Queens University Press, 2003). Michael J. Wlliams, “J.J.R. Macleod: The Co-Discoverer of Insulin,” Proceedings of the Royal College of Physicians of Edinburgh, Supplement vol. 23, no. 3, supplement no. 1 (July 1993). 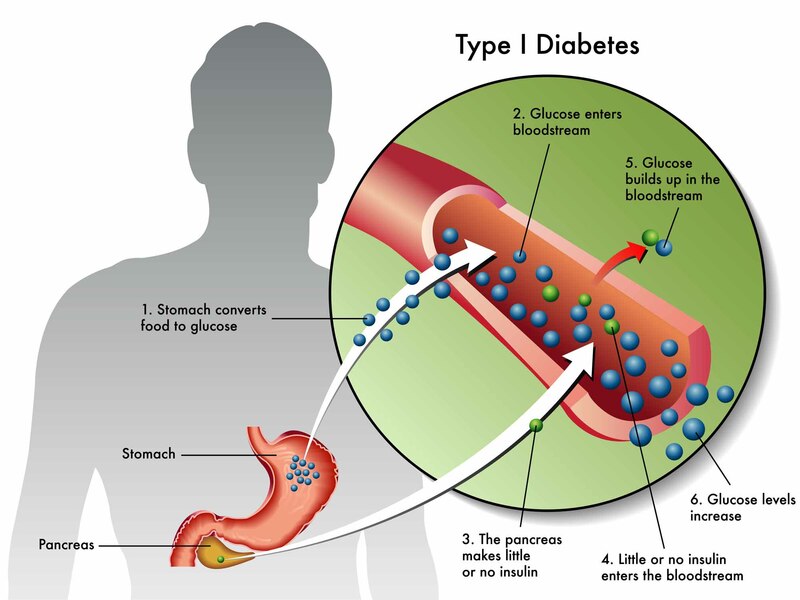 History of DiabetesA chronological timeline of the history of the disease, from 1552 BCE to present. From the Canadian Diabetes Association. Nobel PrizeAn account of the events leading up to the 1923 Nobel Prize for the discovery of insulin. 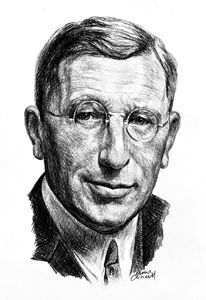 Living HistoryA University of Toronto website including searchable bios of the four men involved in the discovery of insulin: Frederick Banting, Charles Best, J.B. Collip and J.J.R. Macleod. Each biography includes primary resources such as photographs and newspaper articles. Canadian Medical Hall of Fame BiosInteractive biographies of each of the men responsible for the discovery of insulin (Frederick Banting, Charles Best, J.B. Collip and J.J.R. Macleod). Individual pages include video clips with interviews historians and medical researchers, including Michael Bliss, author of this article. Banting HouseWebsite of Frederick Banting’s former home, now a national historic site.